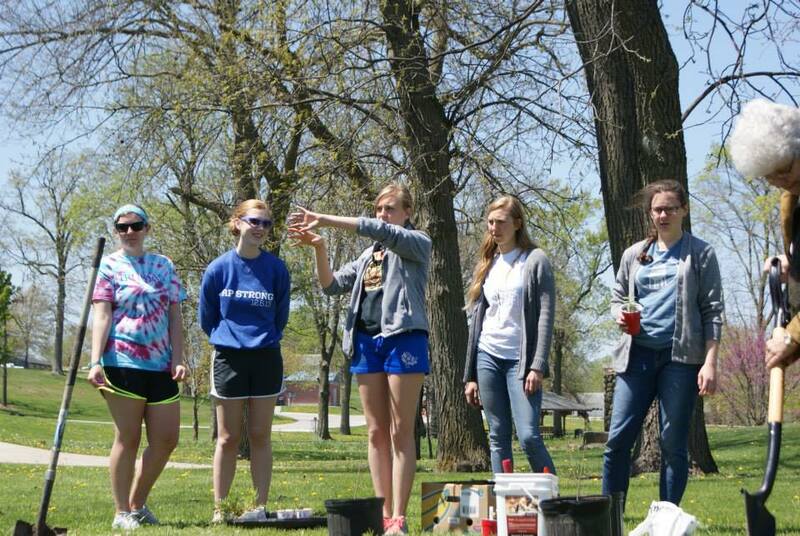 By creating an ecologically sound, socially just, and economically viable campus and community, Truman State University’s students, faculty, and staff all encourage lasting ideals of sustainability to meet the needs of the present while also securing prosperity in the future. We are taking steps to make our campus more energy efficient, which will lead to economic savings for the university and tremendous benefits for the environment. With the help of Energy Solutions Professionals of Overland Park, Kan., Truman is making a wide variety of improvements in 25 campus buildings, all in an effort to reduce the University’s annual energy expenditures as well as its carbon footprint. Click here to see more details about the Guaranteed Energy Savings Project. 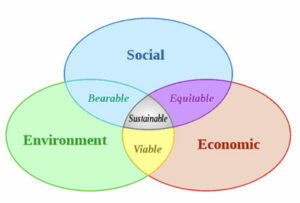 Sustainability is commonly described in three dimensions or pillars. The first is social sustainability, or the ongoing preservation of diverse societies, cultures, ethnicities, and languages. The second is economic sustainability, or the development of a sustainable economic model that ensures fair distribution and efficient allocation and preservation of scarce resources. The third i s environmental sustainability, or the safeguarding and conservation of the natural environment from species decline, pollution, over-fishing, land degradation, and habitat destruction. An easy way to visualize this relationship is through the Venn Diagram shown to the left. The small triangle in the center where all the circles overlap represents sustainability. As can be seen from this visualization, each dimension is an important aspect of sustainability, and all must be carefully safeguarded. With the repurposing of the Dr. Arnold Zuckerman lectureship, President’s Sustainability Action Committee member Judi Schweitzer has created the Dr. Arnold Zuckerman Digital History in Truman Sustainability Internship, whose purpose is to digitize Truman sustainability efforts and maintain this website.